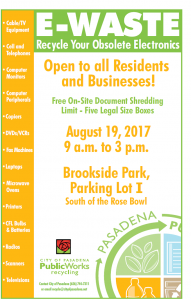 Bring your E-Waste and Papers to be shredded to Brookside Lot Parking Lot I on Saturday, August 19th. More information. 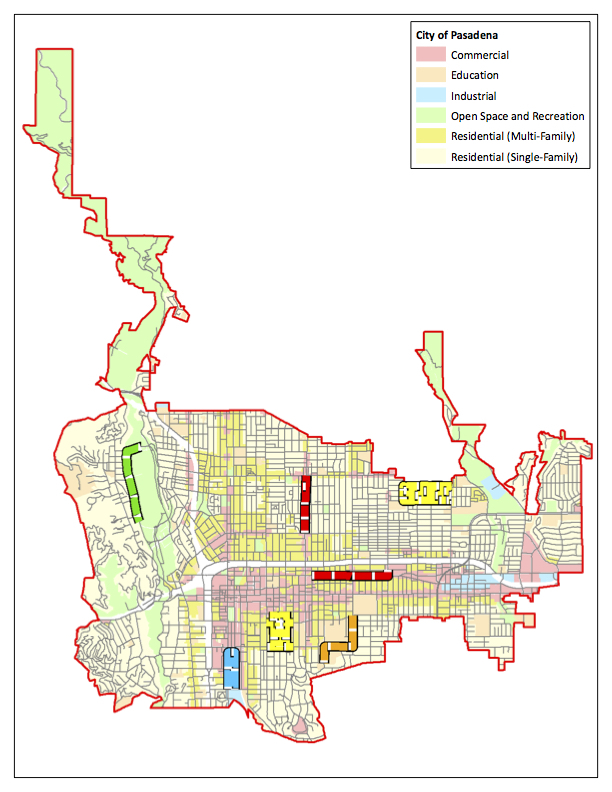 For those of you who are wondering why fabric and sandbags have been placed along various catch basins throughout the City, here’s why: As part of the Regional Water Quality Control Board’s MS4 Permit requirements, the City is required to submit an annual report demonstrating its compliance with mandated Trash TMDL, effective September 2016. Determining volume of trash captured by street sweeping is part of this annual reporting effort. A representative sampling of 56 catch basins were chosen throughout the... continue reading »"Catch Basins Covered Throughout the City"